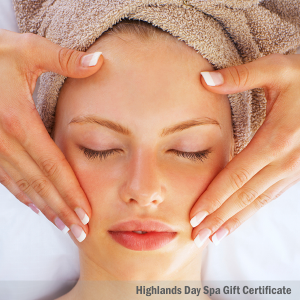 Gift Certificate for a 75 minute Highlands Heavenly Radiance Facial. Designed to help you determine your skincare needs and how to correct conditions such as acne, dryness, sensitivity, and mature or aging skin. 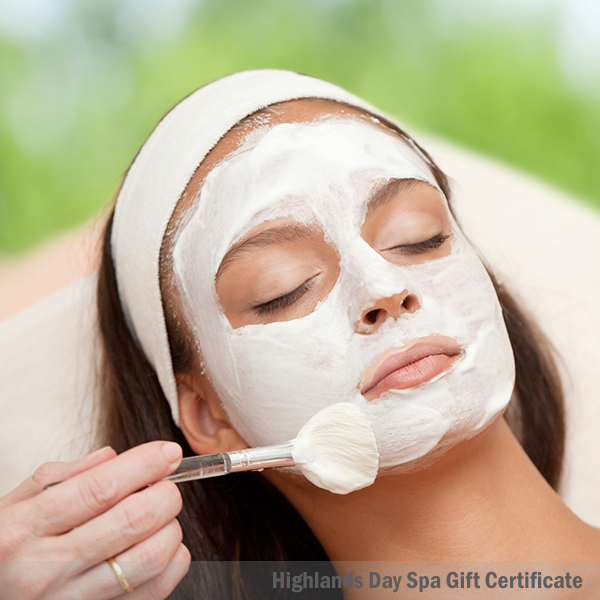 A short consultation also provides you with home skincare techniques. 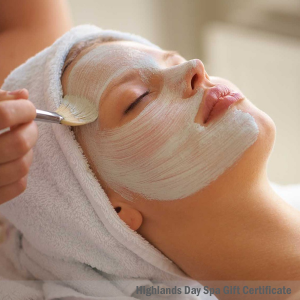 This treatment includes your personal skin consultation and analysis, deep cleansing, extractions (if needed), exfoliation, massage, custom blended mask, toning, moisturizers, a scalp massage, hand massage and paraffin dip. Steam sauna included (in Post Falls only).